Payson was established in the year 2004. Payson is mainly targeted to the e-commerce business related payment solutions. 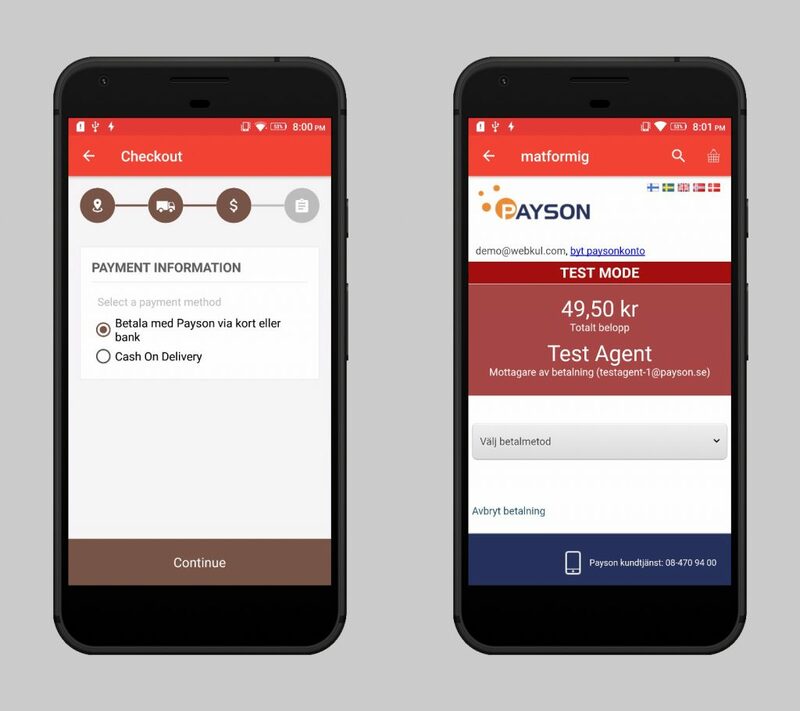 Payson is one of the Sweden’s leading payment solution company. Payson is connected with more than 10,000 companies. Payson checkout solution is truly dedicated to the e-commerce business. Payson provides two versions PaysonCheckout 1.0 and PaysonCheckout 2.0 for the e-commerce business. Both the checkout solution have highlighted features. Supports split payments for multiple recipients. You can create a Payson button to get the payment from your website or email. Supports almost all kinds of e-commerce platforms. One of the leaders of payment solution providing company in Sweden. Mobikul Supports Payson. It can be easily integrated with your Mobikul mobile app of your store. Mobikul Supports Payson and many other payment gateways which you require. You can check for all supported payment gateways supported by Mobikul by clicking here. I want to know that how can i implement payson payment method in my android app using mobikul platform. I want to know about documentation link or step by step guide. For this, kindly create a ticket on [email protected] with the required detail and the platform for which you wish to have the payment gateway.